The Crown Season 3: The Crown is soon coming back. Netflix released the second installment of the hit show in December 2017. The Crown star cast includes Claire Foy and Matt Smith. The worldwide hit reportedly cost over $100 million. And the team says it’s worth every single penny. The series is going to have six seasons in total. The fans might be waiting so long to hear this thrilling news. And the time has come when there is an official confirmation for the renewal. Moving ahead, the fans must be really thrilled to explore the new season of The Crown. Olivia Colman is all set to play the title role. That seems to be exciting for the viewers out there. 3 The Crowd Season 3: Are their return possible? 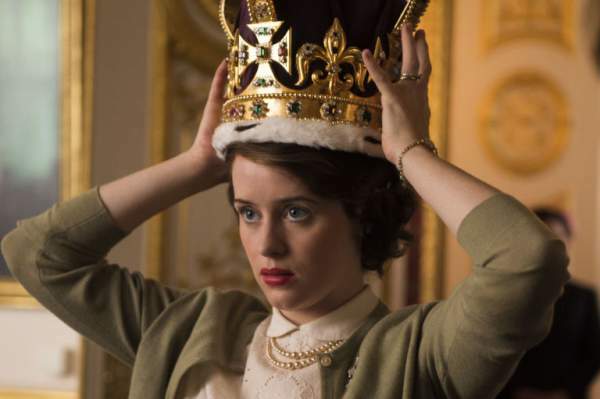 6 The Crown Season 3: Is there a Netflix release? Following the trends of the last years (November 2016 and December 2017 respectively), the speculations say that the premiere date would not be fixed anyhow before the end of 2018. The filming usually takes place over a period of five months. The shoot started after mid-2018, so the filming won’t wrap up until late this year. We can’t expect it to release until early 2019. The promo for the second segment didn’t air until August. So, it means that the fans will have to wait for a long time. Talking about the crown season 3, there hasn’t been any glimpse of it yet. We can assume that it will arrive by/around the autumn of 2018. The trailers for previous seasons didn’t release by August. The Crowd Season 3: Are their return possible? Doubtfully, as stated that the series would probably put the entire focus on the events related to the ’70s, but not wholly out of the question. The appearance of Diana Spencer is probably to remain for a longer time. Spencer will be leading a main feature of the later seasons as the show further approaches to ’80s and ’90. Unfortunately, Claire Foy’s journey with the series is ended. After two marvelous seasons, the actress is retiring from the journey. Further, she’s been hinting lots of praise for her heir Olivia Colman. Related: World War Z 2. Probably, in the new season fans will get to explore that everyone from the cast will be back again. But some characters whose role ended in season2 won’t return again. Read out the article to explore who’s in and who’s out! According to the updates, some roles have been revealed. The role of Queen Elizabeth II will be by the TV royalty Olivia Colman. In 1965, the Queen’s first Prime Minister died, so Churchill won’t return but there will be a mention. Similarly, the US President John F Kennedy in the second installment played by Dexter Michael C Hall won’t be back again in the run. Kennedy died in 1963. Matt Smith will play the role of Prince Philip. In the first two seasons, Smith from the Doctor Who played this part. Likewise, Helena Bonham Carter will portray Princess Margaret or the Queen Mum. Earlier this year, Suzanne Mackie (The Crown producer) revealed the appearance of one character, namely, Camilla Parker Bowles in the brand new season. Josh O’Connor will be back as Prince Charles, Erin Doherty as Princess Anne and Jason Watkins has joined the cast as PM Harold Wilson. In addition, other characters who could be back again in the run include Donald Trump and Margaret Thatcher. Ben Daniels will join the team as Princess Margaret’s husband Antony Armstrong-Jones. The filming is set to begin in July 2018. Earlier Olivia Colman was busy in shooting the movie “Them That Follow” in the states which are keeping her busy. Probably, she would be getting free from that in January 2018. And the filming for “The Crown” will take its journey from there. This is the earliest thought for the series. Earlier, filming for a season took just over five months. With this, we can make an estimate as to when we’ll be hearing the release dates. The audience doesn’t need to hold the breath just yet. Previously, the filming has taken for around five months. So, the shoot won’t wrap until the end of 2018. The Crown Season 3: Is there a Netflix release? Probably, there’s no stop to the release of the season 3 on Netflix. The fans could enjoy watching it there. But the possible dates for the release could be delayed as the shooting still has not begun. Even the breaking news for the renewal was passed by Netflix. It won’t come out until early 2019. Are you excited for The Crown season 3 release date? Which character do you wish to be back in the run? Share in the comment box below. For more updates and news hub, stay tuned to TheReporterTimes!